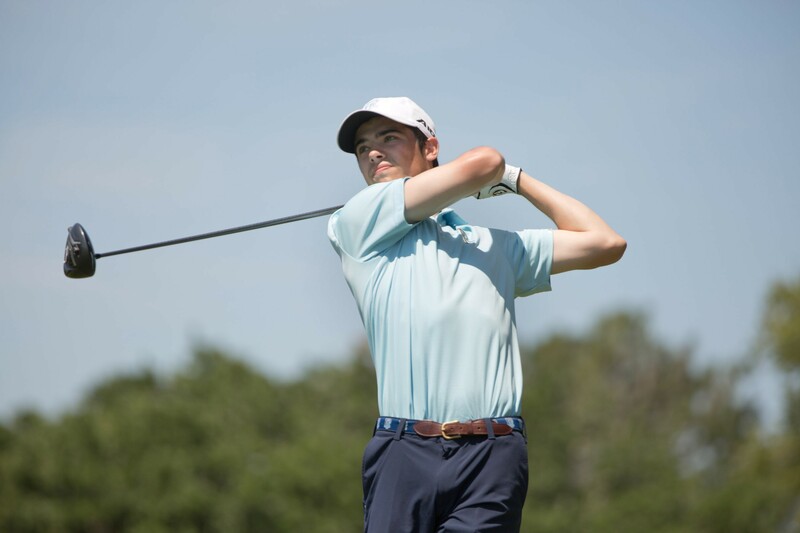 Sophomore Chris Francoeur and Rhody golf finished seventh at the Wildcat invitational. |Photo courtesy of Michaela Benford. Rhode Island Golf finished seventh out of 20 teams this past week at the Villanova Wildcat Invitational, hosted by Villanova University. “We hoped for a top three finish so anything other than that was disappointing,” said Head Coach Gregg Burke. Overall, Rhody combined for a team score of 574, or six over par for the tournament that was played at the White Manor Country Club in Malvern, Pennsylvania. White Manor plays as a Par 71 and was playing at 6,733 yards for the tournament. The Rams were the top Atlantic 10 finisher out of four teams represented, as they were able to beat out La Salle, St. Bonaventure and Fordham. Those three teams finished in 14th, 18th and 19th respectively. Dawson Jones paced the Rams in this one, finishing in a tie for third overall with Colgate’s Ryan Skae, Lafayette’s Will Halamndaris and Cleveland State’s Zach Robbins. 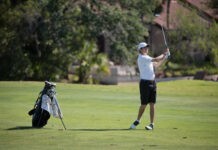 Connor Schmidt of Drexel University won individual honors with a score of 11 under par over the two days. Jones finished with a score of four under overall, shooting a pair of 69’s to do so. Chris Francoeur had a terrific second round to bounce back from a first round 77 which saw him sitting in 87th place out of the field of 104 golfers. Francoeur fired a second round 67, which included six made birdies on the day to finish in a tie for 29th. Brody King also tied for 29th, but did it in a much steadier way. King shot a one over 72 in both rounds. Jason Short finished at nine over and in a tie for 76th place, and Austin Fox finished at 12 over par for the tournament and in a tie for 90th. Fox did shoot his best round of the year so far on Monday, coming in with a three over 74. The Rams are now in the home stretch of their 2019 campaign. Coming up they host the Rhode Island Invitational at Quidnessett Country Club in North Kingstown. Then, they turn their sights towards the Atlantic 10 Championship in Orlando, Florida, hosted at the Grand Cypress Golf Club.